The Dow tumbled more than 650 points on Thursday after Apple's warning. The Dow Jones Industrial Average dropped more than 650 points on Thursday as investors digested a warning issued by Apple CEO Tim Cook and concerns about the slowing global economy. Cook told shareholders on Wednesday that the company's iPhone sales would come in lower than expected largely due to weak economic growth in a key market: China. The announcement added to overall fears that the Chinese economy was slowing and the trade war with Beijing showed no signs of letting up. 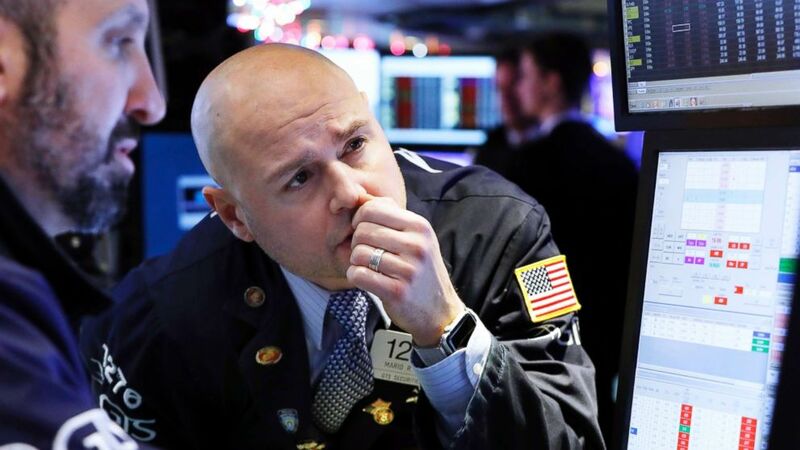 (Richard Drew/AP) Specialist Mario Picone, center, works on the floor of the New York Stock Exchange, Jan. 2, 2019. The Dow fell 660 points or 2.8 percent to end the day at 22,686. The tech-heavy Nasdaq was down 3 percent at 6464. The S&P 500 index was also down, trading 2.5 percent lower at 2,448. Apple shares fell nearly 10 percent to $142. The company still expects to make $84 billion in the last quarter but revised its forecast from an original projected range of $89 billion to $93 billion. (Anthony Wallace/AFP/Getty Images) A man walks past an Apple store in Hong Kong, Jan. 3, 2019. "While we anticipated some challenges in key emerging markets, we did not foresee the magnitude of the economic deceleration, particularly in Greater China. In fact, most of our revenue shortfall to our guidance, and over 100 percent of our year-over-year worldwide revenue decline, occurred in Greater China across iPhone, Mac and iPad," Cook wrote in a letter to shareholders. "China’s economy began to slow in the second half of 2018. The government-reported GDP growth during the September quarter was the second lowest in the last 25 years. We believe the economic environment in China has been further impacted by rising trade tensions with the United States," Cook's letter continued. (Shawn Koh/Bloomberg via Getty Images) Pedestrians walk past the Apple store in Beijing, China, Jan. 3, 2019. 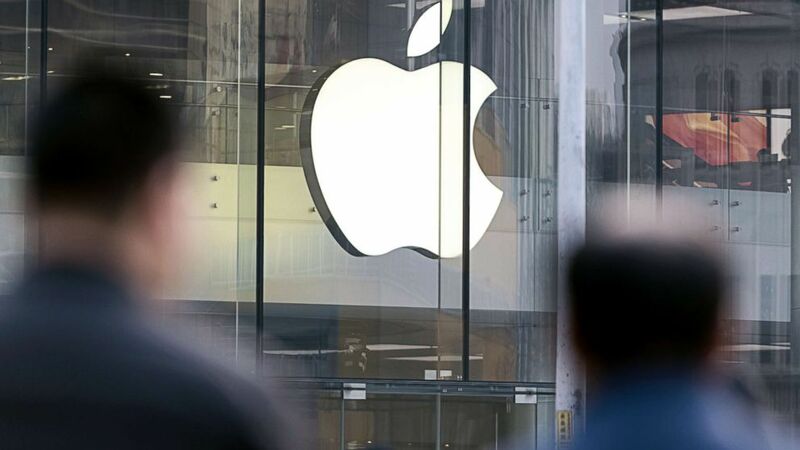 Apple cut its revenue outlook for the first time in almost two decades citing weaker demand in China. Experts, however, were not all pessimistic about Apple. 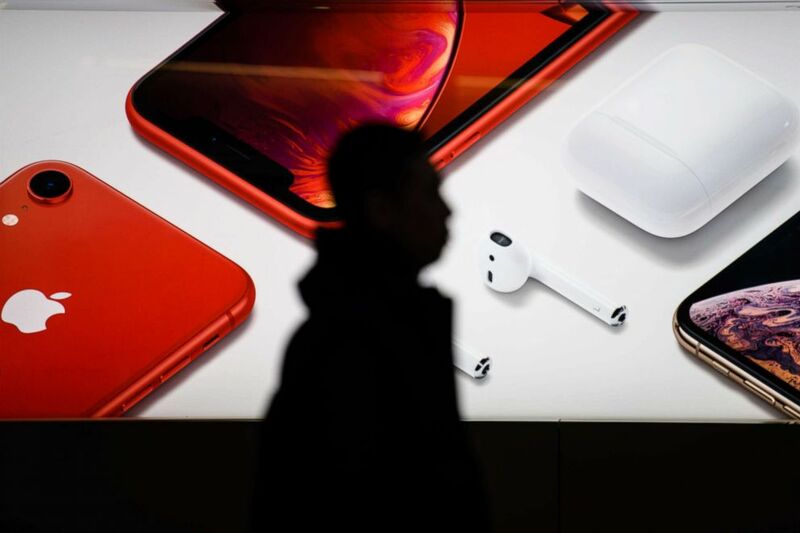 Instinet analyst Jeffrey Kvaal published a research note calling the company's bright spots "everything else," particularly services, and strong Apple Watch and AirPods sales. Craig W. Johnson, Managing Director at Piper Jaffray & Co., told ABC News that "Apple wasn't the whole story. One third of the Dow was off more than 3 percent today. It was a downshift in the growth of the economy. Uncertainty in general is what's been pushing this tape. Investors are worried about what does growth look like going on from here." Likewise, Mike Matousek, head trader at U.S. Global Investors, also told ABC News the moves were not just about Apple. "Delta had a press release lowering revenue guidance for the second time in two months and the stock was down 8.9 percent," Matousek wrote in an email. "ISM [The ISM Manufacturing Index] also came out this morning and it was signaling a future slow down so traders started tapping the sell buttons on growth-oriented holdings."